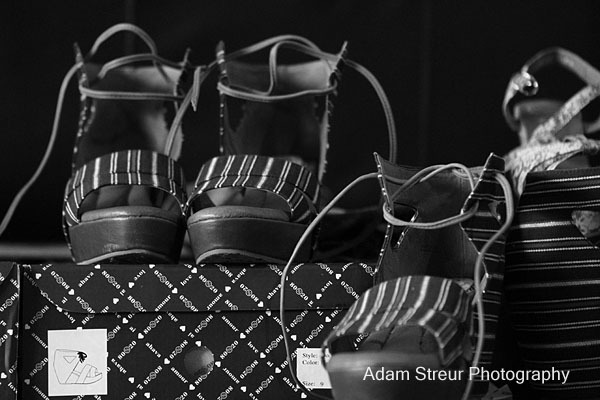 Here is a look at my shoe selection for Omaha Fashion Week Spring 2012. Shoes can make or break the success of an outfit (similar to finding the the correct proportions for a foot on a bowl or vase). The shoes serve as the anchor of the look... the proportions, styling and color have to be just right. 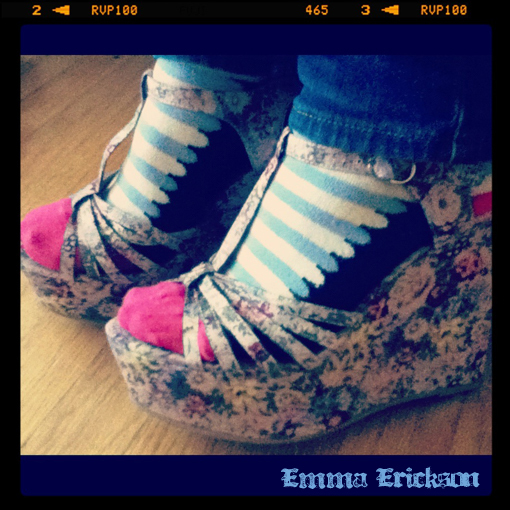 This year I was able to source some amazing shoes that complemented my Spring 2012 styles. Floral Jeffrey Campbell platform sandals worn by model Audrey. Adam Streur Photography captured some brilliant moments backstage. I am happy to be able to share these spontaneous memories with you--models work together to tie a loose shoe string! Team work! 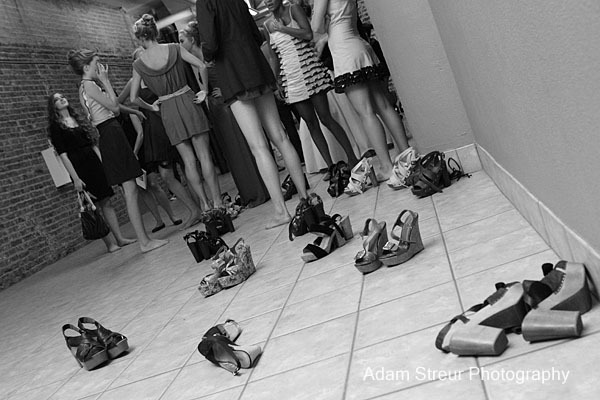 Adam Streur Photography: Backstage at Omaha Fashion Week Spring 2012 - Madison in 80%20 wedges. Adam Streur Photography: 80%20 Navy Baja Wedge for my Spring 2012 collection. Model Yaryna backstage at Omaha Fashion Week Spring 2012 in Miss Albright clogs. Next priority is on my shoe list is Fall/Winter 2012! Let me know if you have any leads! ;) Thank you for reading!